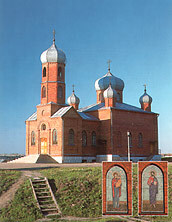 Temple Saint Panteleimon. It is elevated in 1991. It's used the materials by Tkachenko S. & Vlaskin U.